The role of the UN Human Rights Committee (HRC) in the interpretation of the provisions of the International Covenant on Civil and Political Rights (the Covenant) has recently been questioned in a post by Dr. Harrington. Dr. Harrington recognises that the HRC has an important role in the interpretation of the Covenant, however the last word on interpretation would go to States parties. The HRC should “monitor, question and guide”, but it would be States who decide whether the observations and recommendations issued by the HRC are to be supported and implemented. This would allegedly depend on “the specificity and the context” of the recommendations and “the expertise and stature of the Committee members”. This view of the role of the HRC is not unanimously shared, as is clear from some of the comments on the post that refer to authoritative sources that qualify the HRC as the “pre-eminent interpreter of the Covenant”. I have the pleasure of introducing new members of the EJIL:Talk! editorial team. 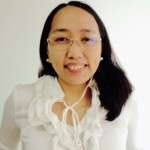 Diane Desierto, who has already served as a contributing editor of the blog for the past two years, is now a full editor of the blog. Diane is Associate Professor of Law and Michael J. Marks Distinguished Professor in Business Law at the William S. Richardson School of Law at the University of Hawaii, where she is also Co-Director, ASEAN Law & Integration Center (ALIC). She has wide-ranging interests in international law, including various aspects of International Economic Law (World Trade Law, International Investment Law, International Finance Law, Law and Development), International Dispute Settlement, International Human Rights and Humanitarian Law and Association of Southeast Asian Nations (ASEAN) Law. Her writing on the blog is sufficient introduction of the quality and breadth of her scholarship. 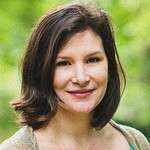 Last week, I wrote about Sadie Blanchard’s departure from the role of Associate Editor and commenting that she will be a hard act to follow. Well, we have not one but two new Associate Editors. They are Geraldo Vidigal and Mary Guest. 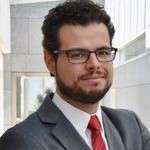 Geraldo Vidigal is a Senior Research Fellow at the Max Planck Institute Luxembourg for International, European and Regulatory Procedural Law. He has a PhD in Law from the University of Cambridge, an LLM from the Sorbonne Law School (Paris 1) and an LLB from the University of São Paulo. Prior to joining the Max Planck Institute, he was a Jean Monnet Fellow at the Global Governance Programme of the European University Institute in Florence and a Marie Curie Fellow within the DISSETTLE FP7 Research Project at Bocconi University, Milan. Geraldo’s research interests include international economic law and international dispute resolution, with a focus on the role of international courts and tribunals in the establishment and enforcement of international obligations. His publications include an article in the European Journal of International Law as well as a recent piece on the blog. 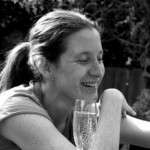 Mary Guest, comes to the blog with over 10 years experience in legal practice both as a senior associate at Clifford Chance and as Head of Legal – Commercial at the English Football Association. She has recently turned to international law and human rights law and has a Masters in International Law (with overall distinction) from the University of Cambridge. We welcome them all and look forward to their contributions to the blog. In our last post, we analysed Croatia’s denunciation of its arbitration with Slovenia emerging from the scandal of secret communications between the arbitrator of Slovenian nationality and the Slovenian agent. In this final post, we examine the ramifications of the scandal for the international judicial system: that is, the informal set of international courts and tribunals in which at least one of the parties is a State. We suggest that the scandal is not an isolated case but rather symptomatic of systemic problems. This, we argue, supports the case for the investment of energy by the college of international lawyers to investigate the case for procedural reform in international courts and tribunals. If we may be permitted to indulge in a spot of shameless advertisement, we are co-editors (along with Dr Filippo Fontanelli (University of Edinburgh), and Dr Vassilis Tzevelekos (University of Hull)) of an edited volume entitled Procedural Fairness in International Courts and Tribunals due to be published in September by the British Institute of International and Comparative Law. As this story broke – just as we were putting the finishing touches to the concluding chapter to the volume (thus seeking to justify, if only to ourselves, the effort) – it occurred to us that we could not have concocted a more apt scenario encapsulating the subject if we had tried. The past five years have shown a categorical disregard for the human rights of the people of Greece by international creditors. We have witnessed a disregard by states, including notably eurozone states, as well as by European institutions and the IMF, of their human rights obligations when crafting conditionalities. There is a long list of deplorable developments that this European catastrophe has exposed (the catastrophe is Europe’s even if the resulting harms at this point impact Greece) including coercion in the negotiation and conclusion of agreements, ongoing attempts at regime change, and the hollowing out of national democracy (among other examples, the statement of the Euro Summit of 12 July requires Greece ‘to consult and agree with the Institutions on all draft legislation in relevant areas … before submitting it … to Parliament ’). There are many other indefensible developments, including the enactment of extreme neoliberal policies relentlessly challenged by economists on their own terms, for taking the wrong approach to promoting growth and investment. Under the conditionalities set out in the Memorandum of Understanding (MoU) of 11 August 2015 for receipt of the third bailout, court rulings that may require the reversal of spending cuts – for example where social rights violations are found – are framed as ‘fiscal risks’, and the MoU requires a commitment from the Greek government ‘to take offsetting measures as needed to meet the fiscal targets’. Greece has suffered years of recession under the Troika’s austerity plans of 2010 and 2012 accompanied by widespread social malaise. In this new phase, we are also seeing all branches of government that might interfere with the creditors plans rendered ineffectual in breach of the most fundamental requirements of democracy and the rule of law. In the past five years – the Troika years – Greece has seen budget cuts that have been followed by a 200% rise in the incidence of HIV/AIDS, the return of mother-to-child transmission of HIV (health cuts have meant routine screens are no longer conducted on pregnant women), the return of malaria, drastic labour market reforms, a rise in unemployment, especially among the young and women, and violations of the right to social security. Even an IMF Research Paper of 2013 challenged austerity in finding that ‘fiscal consolidation [austerity] typically raises income inequality, raises long-term unemployment and lowers the share of wage income’. It is thus deeply disingenuous to see in the latest MoU the statement that ‘The economic crisis has had an unprecedented impact on social welfare’. It is the response to the economic crisis that has crushed the people of Greece and brought the new government – elected on an anti-austerity platform – to its knees. What we are seeing is a total disregard for the political rights of the people of Greece not to mention their right to any reasonable form of economic self-determination. 1. Call for submissions, Volume 4, Issue 8 (December 2015). The Revista Tribuna Internacional Law Journal is an academic publication of the International Law Department of the University of Chile’s Law School. The Journal appears twice a year (June and December) in print and online format and is available open access. The Journal’s main goal is to promote the study, debate, analysis and communication of international law in a pluralistic and scientifically rigorous manner. This call for submissions is open to unpublished articles and monographs, case-law comments and book reviews, in the fields of international public law, international private law, international human rights law, international relations and related topics. All submissions are assessed through double-blind peer review. Article submissions should be of 8,000-9,000 words, case notes of 5,000-6,000 words and book reviews of 2,000-3,000 words. All submissions must comply with ISO 690 and ISO 690-2 guidelines. Contributions that have already been published or that are under consideration for publication in other journals will not be considered. The deadline for submissions is 5 October 2015. For article selection process and submission details see here. For further information, guidelines for authors and to see Volume 4, Issue 7 (first semester, 2015) see here. 2. Goettingen Journal of International Law, New issue. The Goettingen Journal of International Law has recently released Volume 6, Issue 2, which can be accessed here. The articles included in this issue address a variety of current questions in international law, including an article by Heike Krieger which reflects on the development of immunities. Further contributions are by Sergio Dellavalle, Tim Banning and Mélanie Vianney-Liaud. Delighted as I am to have received the insightful comments of Alison Duxbury and Ian Johnstone, I cannot write a very lengthy rejoinder, for the good reason that on most general matters, the three of us seem to be in broad agreement. In particular Johnstone and I are pretty much on the same page, it seems, our only quibble (if that is what it is) being about whether I go far enough in discussing the weaknesses of functionalism as principal-agent theory. Johnstone contends that I do not, and even with this I agree: functionalism is not even very good at discussing the relationship between international organizations and their member states, by and large because it refuses to acknowledge the political nature of this relationship. Functionalism aims to take the politics out of politics, and as usual, this affects its explanatory force. If the article focuses on other aspects of functionalism, it is because elsewhere I have made critical comments about such staples as the implied powers doctrine, the ultra vires doctrine, or the bias of functional necessity in the law on privileges and immunities, for instance in An Introduction to International Organizations Law (3rd ed, 2015). Beyond this, both Johnstone and I signal a move to discursive accountability (the adjective is his; I wish I had thought of it) driven largely by reputational concerns, and his rendition hereof as a ‘looser form of functionalism’ may actually give functionalism more credit than I would give it – I am not so sure that the result can still qualify as a form of functionalism. Duxbury and I are also broadly on the same page, but she does pose some explicit questions. First (her last question) is whether functionalism has actually transformed, and here the answer must be in the negative: the process of transformation is still ongoing, and will no doubt go on for a few more decades. It is a glacial process, not an overnight transition, partly because too many have vested interests in not discarding functionalism altogether, and that includes international organizations and their staff: they benefit tremendously from the bias inherent in the law. It also includes the member states of organizations generally, who can write off governmental responsibilities and use organizations for scapegoating purposes, tut-tutting every now and then about ‘mission creep’ but secretly happy to use organizations as instruments of what Foucault would call governmentality: for most member states, having entities such as the World Bank or the International Organization for Migration function without too much oversight is much preferable to strict governmental control. It also covers pretty much all academics working on international organizations law (myself included), partly because of the way those academics are trained, and partly because functionalism generates the promise of a better world – and that is a promise that is hard to ignore. Exactly two years ago today, I wrote a post introducing Sadie Blanchard as a new (and our first) EJIL:Talk! Associate Editor. Today, I write to announce that Sadie is leaving EJIL:Talk! after a couple of years of the most wonderful service. Sadie leaves us to return to her alma mater, Yale Law School, where she has taken up a position as Research Scholar in Law and Private Law Fellow and will work in helping to run the newly established Yale Law School Center for the Study of Private Law. Her work at the Center will include her continuing research and scholarship on arbitration, including investment arbitration. I first met Sadie 7 years ago when she took a class of mine at Yale Law School. She was an excellent student and one of the leading lights in the Yale Forum on International Law. It was a pleasure to have her work for the blog and she has done a tremendous job! Much of her work has been behind the scene: editing (and improving!) posts, arranging book discussions, discussion on articles (like this week’s discussion on the article by Jan Klabbers), liaising with contributors, sorting out technical issues – all the things that make the blog work well! We are immensely grateful to her for all her work. She will be a very hard act to follow! Jan Klabbers’ two decades of “obsession” with functionalism as a theory of international organizations law (IOL) pays off in this article. It is a highly perceptive analysis of the evolution of functionalism, arguing that it made sense when created more than a century ago, but its explanatory and prescriptive power began to erode almost immediately as the nature and impact of international organizations (IOs) changed. He argues that functionalism helps to understand the relationship between IOs and member states, but not relations within an organization or between the organization and third parties. More radically, Klabbers challenges the functionalist assumption that all activities of IOs are beneficial or benign. Not only is this factually wrong, but it also serves to obfuscate the impact of IOs by presenting them as “neutral” “apolitical” and “purely technical” creatures (p. 18). This makes it difficult to hold them accountable for they wrongs they commit, like the cholera outbreak in Haiti, let alone for perpetuation and propping up “an unfair global structure” (blog). Like much of his work, Klabbers turns a critical eye on the “problem-solving” approach to the study of international law and organizations, without losing sight of real world challenges the law and IOs struggle with and the pragmatic solutions they are struggling to find. His analysis of functionalism is an exercise in “reconstruction” (p. 22). In the hands of a lesser scholar, this can be a risky strategy because it can tempt one to (re)construct a straw man for the purpose of debunking it. Klabbers avoids that trap by a careful reading of seminal texts and a persuasive interpretation of how functionalist theory has informed the actual practice of IOL in the past and today. In this comment, I will: a) extend Klabbers’ critique in one area (the weaknesses of principal-agent theory); b) elaborate on it in another (IO accountability and responsibility); and c) based on the above, conclude with some thoughts about the question he asks at the end: must functionalism be discarded or can it adapt? Comments Off on Are Functionalism’s Flaws Fatal? Is International Institutional Law Transforming? José Alvarez has written that ‘the majority of international lawyers and fellow travelers in international relations rarely see an IO, proposed or existing, that they do not like.’ (2006) 100 AJIL 324, 339-40. International lawyers like international organisations because they promise (or at the very least, propose) international solutions to global problems, whether those problems concern international peace and security or preventing the spread of disease (and these may sometimes be viewed as one and the same – think of the Security Council’s response to the Ebola crisis). International institutional law is designed to enable us to see the similarities in the structure and functioning of different international organisations – whatever their role and wherever they are geographically located. The idea that all organisations fulfil a specific function or functions as set out in the constituent instrument, and that these functions determine the limits of the actions that an organisation can (or should) take, is well accepted. However, in ‘The Transformation of International Organizations Law’ Jan Klabbers develops a point he has made previously: that functionalism as a theory to explain how international organisations should behave has a ‘blindspot’ – this blindspot is its bias in favour of the organisation which means that it can be used to justify any of the organisation’s activities (p 10). The question remains whether this blindspot is inherent in functionalism or rather a product of our innate desire to see international organisations as a solution rather than a problem. In this article Klabbers tells us a story – a story not so much about the transformation of international institutional law, but about the origins and rise of functionalism and ultimately its inability to account for the relationship between an international organisation and third parties. It is one of two articles written by Klabbers and published in EJIL in the last year examining the origins of functionalism as the dominant theory in international institutional law. In his 2014 article Klabbers attributes ‘colonial inspirations’ to the beginnings of functionalism by concentrating principally on the work of Paul Reinsch. In this second article, Klabbers revisits Reinsch’s work, but also examines the writings of another American scholar/practitioner, Francis Bowes Sayre, whose major work in the field, Experiments in International Administration, was published in 1919.